If done right, background videos and animations will undoubtedly help your website stand out from the crowd. You need to know that using background animations and videos delivers multiple important benefits. Obviously, animations as well as videos are more engaging than traditional images. So, they will provide users with much better experience. Therefore, if you choose to take advantage of animated background or videos you’ll undoubtedly manage to add visibility to your website. However, it’s important to remember that moderation is a key when it comes to using background videos and animations. There has been a lot of talk about the advantages of using custom-made illustrations in web design. It goes without saying that custom-made illustrations can help you make your website special. Custom-made illustrations can also be used to attract attention of users to certain elements on a site. In addition, you can use custom-made illustrations to communicate with your audience and increase your brand awareness. It’s a good idea to benefit from so called microinteractions in 2016 and 2017. It’s worth noting that microinteractions are frequently used in mobile app design. Obviously, microinteractions are the right choice for web designers who are trying to find a good alternative to big interactions. More and more web designers choose to use typography today. For this reason, typography has become a very popular web design trend for 2016 and 2017. There is no doubt that typography has a huge positive impact on website users. It’s important to point out that typography allows web designers to get the most out of the text content. With typography your website will undoubtedly look professional. Typography will add personality to your website as well. Additionally, typography has endless branding opportunities. Dynamic storytelling is another web design trend for 2016. Moreover, dynamic storytelling is going to become more popular in 2017. What is great about dynamic storytelling is that it provides users of a website with unique experience. Actually, dynamic storytelling involves using such elements as graphics, text as well as video. It’s important to note that when web designers use storytelling they have a unique opportunity to impress users with interactive graphics. Without a doubt, it’s a good idea to benefit from dynamic storytelling in 2017. Use storytelling and allow visitors to enjoy an interactive journey on your website! As it was mentioned above, dynamic storytelling has become a popular web design trend this year. Moreover, the popularity of scrolling is expected to grow in 2017. Of course, it’s best to create a single page site for storytelling. However, if you choose to build a single page site, then you’ll definitely need to take advantage of long scroll navigation as well. Without a doubt, such an important element as long scroll navigation will be a good addition to the design of your site. One of great benefits of scrolling is that this design element is mobile friendly. So, users will manage to view your site on different types of mobile devices and browsers. By the help of scrolling, visitors will be able to control their own space on your website easily. Don’t be afraid to use bright colors in web design today. It’s recommended to use vibrant colors for designing different types of user interface elements on a website such as buttons, navigation menus and others. Keep in mind that duotone color palettes constantly gain in popularity as well. Initially, duotone images were used in the printing industry only. However, duotone color schemes became a popular trend in web design industry later too. You can be sure that duotone color palettes will create a strong visual impact and positively affect your site’s audience. That means that if you would like to design your website in the modern style, then you should take advantage either of vibrant or duotone color schemes. As you can see, web design industry is constantly evolving. 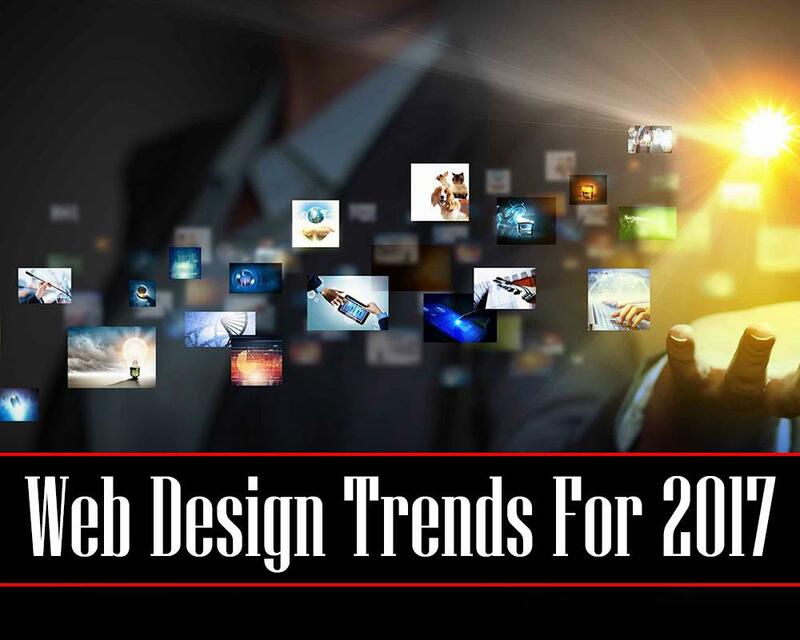 We have just highlighted top web design trends for 2016 and 2017. So, do your best to make your site up-to-date and convenient for users!